In his essay on John Calvin's Humanism, ex-Calvinist turned Orthodox Jim Nelson explains that Calvin had a materialistic mentality that denied Tradition and whose rigidity effectively denied free will. Free will, after all, is a violation of hard materialism. So, when G.K. Chesterton claims that Calvinism took away the freedom from man, and subsequently scientific materialism bound the Creator Himself, this connection between scientific Christianity and scientific materialism is self-evident (to Chesterton). Calvinism, and especially traditional Calvinism, would argue that the Reformation didn’t take anything away from man because scripture teaches that man didn’t have any freedom in the first place, it was all an illusion. On that point, I’ll let the Catholics and the Calvinists sort it out. What is visible in the Chesterton quote is this great divide. Chesterton, the conservative Roman Catholic, sees Protestantism as a radical liberalizing force. The Calvinists, on the other hand, tend to view Chesterton as a reactionary conservative. It’s an illustration of (to use an old canard) two ships passing in the night. What are the cases where Calvin's rationalist materialism ended up breaking with Christian Tradition and debunking the supernatural? his claim that since rocks can't follow people, Paul was not talking about a moving rock or about Christ actually being there with the Israelites in 1 Cor 10, but only about a stream of water moving as an "outward sign" of Christ. How are we defining materialism? I don't see a familiar use at play here. Philosophical materialism. A denial of the mystical. What do you think would be the best term then? Calvin used a naturalistic, materialistic style of reasoning to reject Christ's direct presence in the Eucharist. As Jim explained, Calvin had a hard materialistic mindset that, as a result of its rigidity, in practice denied the crucial role of human free will. Luther proposed that Christ's body in its divinely transformed state could be omnipresent, in accordance with His divine nature. These men[Lutherans] teach that he is in every place, but without form. They say that it is unfair to subject a glorious body to the ordinary laws of nature. But this answer draws along with it the delirious dream of Servetus, which all pious minds justly abhor, that his body was absorbed by his divinity. That is, for Calvin the answer that it is wrong to subject a glorious body to ordinary natural law would imply a delirious dream, because if the body is not subject to natural law then it means the humanity is absorbed by the divinity. Thus, Calvin in effect says that it is necessary to subject Jesus' human body to natural laws and not to contradict the properties of human bodies. The implication of this would eventually be, if taken consistently, that Christ's body should be subject to other natural laws. Thus elsewhere against the Lutherans Calvin disputes that Christ's body could be "invisible", saying instead that it only "disappeared" - the latter IMO a distinction without a difference. Philosophical materialism is the thesis that only material objects (or events or states of affairs involving material objects) exist. You could get very mysterious and mystical with this. Also I think that, rightly understood, one can be an Orthodox materialist. It's sort of a hodgepodge of bits of nominalism, physical determinism and disenchantment. Perhaps we can avoid an ism or term and simply speak to how Calvin's views worked themselves out. At the risk of speaking for rakovsky, he said Calvin had a materialist mentality, not that that he was a full fledged materialist. It certain branches of Christianity, and Reformed Christianity is one of them, the concept of the supernatural is rather discouraged. Whereas in Orthodoxy, there is no hesitation in believing that wine becomes the Blood of Christ or that a supernatural cloud descends or Mt Tabor every year and that miracles happen when we pray to saints, etc, those ideas are looked upon as superstitious silliness in Reformed circles. It isn't so much that Calvin was a complete materialist; he obviously wasn't or he wouldn't have believed in a deity at all, it is that he believed there was little interaction between the natural and supernatural world. What was set was set, and there were no interventions that would change that. Everything was preordained to occur just as it does and there is no need for intervention. As for an Orthodox materialist, I'm not sure how you could "rightly understand" that and still be faithful to the tenets of materialism. After being well immersed in the Orthodox world and mentality, Reformed look materialist and naturalistic by comparison. There is not the same sense of deep holiness in a room that is intentionally undecorated, with prayer psalms in songs that don't flow but are hammered by a piano. It's just as you said: "little interaction between the natural and supernatural world" by comparison. It shouldn't be a surprise how within a few centuries movements like ritual-less Quakerism, Unitarianism, Deism, and Enlightenment rationalism burst forth in strength in western societies with a Reformed influence. Are there other examples, you think, of where the New Testament teaches that something supernatural happened, but Reformed principles would normally teach that it didn't, besides the three I gave above? A fourth potential issue is the nature of Jesus' body in heaven. for Calvin, Jesus' body must be in human form and restricted to heaven, not on earth because that would be two places at once. But in Orthodoxy saints have been in two places at once, so Jesus could be. I don't know if Orthodox accept like Luther that Jesus can be omnipresent, but I don't see it as a problem conceptually. Jesus is God, and God is everywhere, and Jesus' body divinized, so he could make it omnipresent if he wanted to. Thinking of Jesus' body being absolutely restricted per "ordinary laws of nature" seems weird to me, reminding me of the Mormon idea that Jesus and the Father are human/alien people on another planet. A fifth issue is Calvin's curious silence about Revelation. Revelation of course could bear upon Christ's nature of being in heaven. In Rev. 1-2, Jesus shows up with a sword coming out of his mouth. Obviously per Calvin's exclusionary Rationalism, this would not happen in real life. He dealt with 1 Cor 10:4 so badly, by saying that rock means stream because rocks don't follow people, that I imagine he would also mutilate Revelations because it is full of spiritual expressions and supernaturalism that does not obey the "ordinary laws of nature". 4. A second-hand report (at best) suggests Calvin did not write on Revelation because he said he could not understand the book. This quote is republished by Parker on pages 117-18, and Parker says he's "apt to believe he did not say it at all" (118). 5. Parker suggests that Calvin did not write on Revelation due to a theological reason. Calvin saw the Old Testament as concealing Christ, but the New Testament presented Christ clearly. "...[H]e may have considered that apocalyptic is foreign to the New Testament as if it involved a re-veiling of the clear and unambiguous Gospel" (Parker, 119). But in Orthodoxy saints have been in two places at once, so Jesus could be. Very good stuff Rakovsky. I would argue this inclination inherent in Colonial American Calvinism (the Puritans) lead directly to the Unitarian hyper-rationalism, the Jefferson Bible, and so on. Only with a Heisenberg compensator.......live long and prosper. It certain branches of Christianity, and Reformed Christianity is one of them, the concept of the supernatural is rather discouraged. Whereas in Orthodoxy, there is no hesitation in believing that wine becomes the Blood of Christ or that a supernatural cloud descends or Mt Tabor every year and that miracles happen when we pray to saints, etc, those ideas are looked upon as superstitious silliness in Reformed circles. How do the supernatural phenomena described here conflict with materialism? Supernatural by definition conflicts with materialism. Materialism states that everything material is matter aka physical. The supernatural posits that there is a cause outside of material/physical world. Unless you are willing to argue a physical aspect to both God and angel, you aren't a materialist. Certainly we can argue a physicalness to Christ, but not to the Father and Holy Spirit. If you say they are physical, matter based beings, then you aren't Orthodox. If you say they are not matter based beings, you aren't a materialist. Materialism states that everything material is matter aka physical. Is being material identical to being physical? If not, what does it mean to be physical? The supernatural posits that there is a cause outside of material/physical world. The supernatural posits that there are entities beyond the natural. There are several ways one can parse this out. If you say they are physical, matter based beings, then you aren't Orthodox. "O heavenly king, the comforter, who is nowhere present and not co-located with anything." See, what's going on here is that you're taking an older and/or less technical use of being immaterial and reading it forward. And I don't think Calvin comes out a materialist either way. At the end of the day this is what modern Christians get for -isming. Saying God is everywhere present means he is present in all of material reality. It does not mean His existence is limited to his presence and operations in the material world. We aren't pantheists. That God is beyond spatial-temporal-physical creation shows that He does not fit into a materialist framework. ...what does it mean to be physical? Saying God is everywhere present means he is present in all of material reality. It does not mean His existence is limited to his presence and operations in the material world. Saying that God is located and also exists in an un-located manner would certainly fall outside of materialism, but it would not give you an immaterial God. "Also exists in an un-located manner" is a big objection to a Christian materialist metaphysics, but I'm not sure it's insurmountable (and there are coherency questions). Great post. I remember a convert from some form of Protestantism saying that they'll always take the Bible literally, except when it sounds too awesome. I thought that Orthodoxy was Panentheist- the physical world is considered to be part of God in some way. That would make Him material (though also with an immaterial component, since it's not Pantheism). I like to tie this into the loaves and fish. They were divided into a physically impossible number of parts and everyone got to eat their fill, and then there were many baskets left over. I'm sure if you were standing there with a computer trying to "track" who got pieces of what and which pieces of which original loaf or fish were left over and placed into which basket, you'd wind up with universe-breaking paradoxes pretty quickly. So in the same way, perhaps God (and this could just as easily apply to Christ's Resurrected body also or instead) is physically "spread out" into all parts of the cosmos, but each "part" can still be a complete monad in itself). It's similar to that "holographic universe" theory- divide it in two and get two complete wholes, not two halves. Can you think of any other cases when they reject the supernatural, especially the kinds of things that we read about in the Bible? I could only think of the five I listed so far. Not sure if that counts, but the rejection of baptismal regeneration seems to go that way. "Pfft? You're saved by faith alone, not by water! " Ok. Then what is the orthodox version? No, Orthodoxy is Classically Theistic. If it's going to use any terms like panentheism, it's only in a limited context to contrast a modern / post-modern concept with another post- Christian philosophy concepts like Deism, Pantehism, or whatever. If there is an ecumenical way to phrase things philosophically' there is nothing that sets us apart in the way we speak of God as do traditional Jews, Muslims, Catholics, Zoroastrians, and Aristotelian/Platonists. Fair enough. I guess I see the distinction now. Are you asking me or asking what philosophical materialism believes? To a philosophical materialist, yes, they are are identical. There is no material that is not physical and there is nothing that is not material, ergo everything is physical. A materialist doesn't believe in the immaterial. In philosophical materialism, if there is no atomic weight to it, it doesn't exist. God doesn't exist to a materialist. Thoughts and emotions are just chemical reactions. A god is merely the result of a chemical process in your brain. So yes, the above statement does sound wrong, but that is because you and I are not materialists. Again as I stated previously, Calvin was not a strict philosophical materialist, or he would have been an atheist. He did, however emphasize the material world and doubted the impact that the immaterial had on the material. In that respect, by disparaging the immaterial, he was moving towards materialism. In philosophical materialism, if there is no atomic weight to it, it doesn't exist. Woa woa woa. Only a terrible materialist would use such a definition. Where are you getting this stuff? God doesn't exist to a materialist. Thoughts and emotions are just chemical reactions. A god is merely the result of a chemical process in your brain. Materialism does not necessarily entail any of these things. Do you know of authors who say more specifically like Jim Nelson does that Calvin's approach about Reason leads out of Christianity? "The growth of science revealed the operation of 'natural law' in many cases - eg the path of comets - where faith had seen the hand of Providence. This reminds me of the role of "Providence" and "natural law" in Calvin's thinking. Once science turns out show that natural law gives a different "direction" than before, against "Providence", it could be then implied that ideas of Providence itself could be changed. I think that's most of what you're likely to find- "the Reformers represented Renaissance humanism applied to religion which eventually lead to a phasing out of God altogether, or as Pierre-Simon Laplace put it, 'I had no need of that hypothesis.'" I'm not sure how much scholarship there's been on what may be uniquely humanistic (let alone materialistic) about Calvinism. Keep in mind that the Reformation was also to an extent a socio-political movement that occurred in the context of a discontent against both the throne and the altar that had been brewing in Europe for centuries (for example in the Beguine/Beghard movement). Well, Brad Gregory's The Unintended Reformation (written from a Catholic perspective) comes to mind. Mark Noll has argued a similar point (he is himself a Calvinist, but also admits that the Reformation had a lot of negative unintended consequences, which has gotten him a lot of criticism from the "Truly Reformed" types). Could you please be more specific about Noll? His main idea in the first book seems to be that Evangelicals gave up being intellectual in the early USA (1800's). Could you say if Mark Noll seemed to think that Calvinism led to movements like Unitarianism, The Enlightenment, Quakerism, modern Humanism, etc. in its wake? Here's another one: exorcisms. Charismatic Reformed notwithstanding, they seem rather uncommon among Presbyterians. Cong: So are demons real or simply a metaphor for evil? Teri: I know a very intelligent theologian who believes that demons are grey and smoky, about 4 ft tall, with red or green eyes, and able to come into rooms under the doors. I prefer the definition of demons as "those malevolent forces that are deceptive, destructive, and diametrically opposed to the good and gracious will of God" (Samuel D. Zumwalt). Cong: Like the dementors in Harry Potter? Teri: Sort of. ...Whatever our answer to these questions, we know that evil seems defiant and stubborn. ... Whatever it is that causes these actions and feelings can seem so strong that we believe it can't possibly be us- it must come from some other source- like a demon. ...But some demons do come from inside. Memories of parental neglect or abuse of some sort are inside. Memories of childhood taunts and humiliations are inside. Living with the road not taken whether career choices, romantic choices, or some other what-ifs are inside. Knowledge of one's failures and imperfections are inside. All of these things can become demons that possess and even destroy. Who ever heard of those fictitious exorcists having given one specimen of their profession? It is pretended that power has been given them to lay their hands on energumens, catechumens, and demoniacs, but they cannot persuade demons that they are endued with such power, not only because demons do not submit to their orders, but even command themselves. Scarcely will you find one in ten who is not possessed by a wicked spirit. All, then, which they babble about their paltry orders is a compound of ignorant and stupid falsehoods. Since the numerous New testament examples of miracles performed through the agency of physical objects provided the Catholics with a scriptural argument, Calvin had to develop a different interpretation of the nature and function of miracles.... in connection with the story of the healing power of pieces of clothing touched by St paul Acts 12:2. These miracles says Calvin are tmporary testimonies of the power of God, not a permanent condition of Christian religion. ... All miracles are performed to increase knowledge of the glory of God, he continues, not to further the glory of the saint performing them or, even less of the articles through which the miracles are performed. ... Calvin skirts having to consider the possibility of miracles being wrought through the agency of material objects. He does not deny that God chose such means... but he argues that the time has passed when such things would occur. ... In reference to the miraculous effects obtained by the apostles through chrism and unction, for instance, Calvin advised that it was no longer possible to expect these material objects to be of any use. Now that the gift of miracles had ceased, he said, the figure ought no longer to be employed, and such things should be banished from the Church. In contrast, Catholic and Orthodox churches have continued the practice of anointing with physical oil (chrism) since the time of the apostles. Even if I accept that the chrism does not itself have power, I have no problem in a supernatural mindset accepting that physical chrism can be a "figure" of a real spiritual process of healing. Consequently, it is only in a materialistic mindset that I prefer rejecting continuing the practice of apostles' chrism. At the heart of Calvin's argument against the mircles of the Catholic church may be seen his deep distrust of the religious value that men come to place on material objects. he has to accept the possibility of having miracles occur through material mediation, but he does so reluctantily, removing this possibility to remote and specific instances... Calvin's denial of miracles in the material sphere is the capstone of his metaphysical assumptions. Uneasy with any intermingling of spiritual and material, he takes the miracluous out of the ordinary and moves it into the realm of revelation. .... Aside from such extraordinary events, which God intends as proof of his revelation, and not as ends in themselves, there is no inrtusion of the divine, spiritual sphere into the matieral. This world operates on its own divinely appointed principles. Religion then does not seek to change the way the material world operates but rather to understand it as it is. : eternally subject to god's will and always incapable of transmiting any spiritual power in and of itself. TO believe otherwise, says Calvin, is to transfer God's glory to His creation, and this is the trap of idolatry. Interesting to consider that in light of the Calvinist commitment to wealth as sign of God's favor, Christian participation in politics, etc. Also, it makes me feel bad for Jack Deere and the other "Carismatic Calvinists." They're in a tough spot. I think that Eire's book is spot on. The keywords here include Calvin's "natural order"/"laws of nature", and Eire's "physical objects"/"material objects" in connection with miracles, and Lutherans' comments mentioned in the Institutes on Calvin's view of Jesus' body subjected to natural laws. I want to unpack the premises. Why is it according to Reformed that physical objects would not be directly imbued with supernatural properties on occasion? Why is it that someone's body with a human nature absolutely must adhere to "proper dimensions" as Calvin asserts? Have other writers noticed this about Calvin's positions? You can easily see the connection between Calvinism and the later Scottish common sense realist school of thought. The whole emphasis on the "natural order of things" which was thought of as being self-evident (Calvin didn't use the term common sense, as far as I know, but he might as well have done so). Often Calvin referred simply to "common sense," the. "dictates of nature,"
Wish I could get that on full text. It is a celebrated observation of Solomon, that "it is the glory of God to conceal a thing." But, as both piety and common sense suggest that this is not to be understood generally of every thing, we must seek for the proper distinction, lest we content ourselves with brutish ignorance under the pretext of modesty and sobriety. Let's turn now to how Calvin applied the rule of common sense. 8 And God called the firmament Heaven. 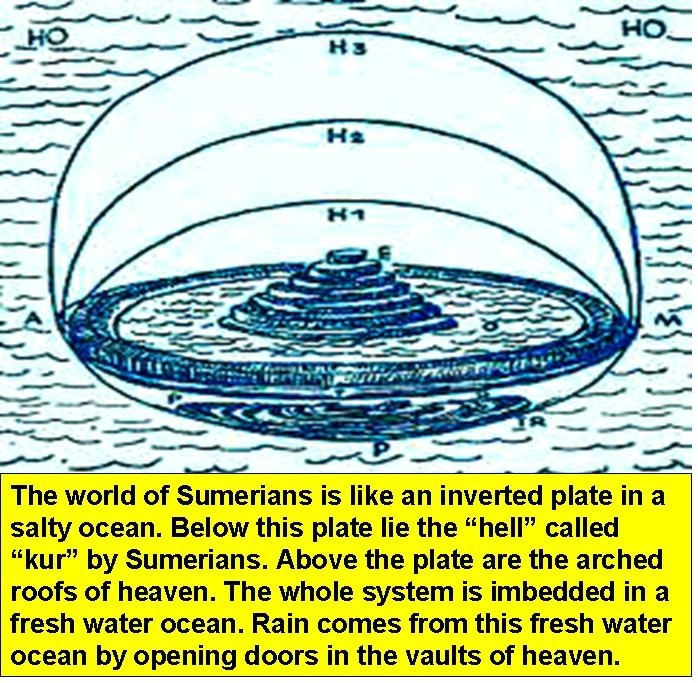 This is the view of the Sumerians illustrated below. Abraham came from Ur, the Sumerian capitol. Augustine taught that there was no dispute from Scripture that water lay above the starry firmament. Luther said the same a thousand years later. But almost a generation after Luther was born, Calvin wrote, “it’s beyond common sense to believe in waters above the stars.” So the invention of the telescope was what forced people like Calvin to begin reinterpreting Scripture, based more on commonsense than biblical exegesis, no matter how clear the Scriptures said something. And though Calvin did not accept heliocentrism he probably would have today since astronomers have detected nearby stars with rings of matter and planets circling them, which reinforces the view that our star also works in pretty much the same fashion, a heliocentric system. But the Bible depicts all objects moving above the earth, moved by God in fact, and the earth held in place by God. Again, Scripture fails to commonsense observation, no matter how plain the words of Scripture. We will see some who are so deranged, not only in religion but who in all things reveal their monstrous nature, that they will say that the sun does not move, and that it is the earth which shifts and turns. When we see such minds we must indeed confess that the devil posses them, and that God sets them before us as mirrors, in order to keep us in his fear. So it is with all who argue out of pure malice, and who happily make a show of their imprudence. When they are told: “That is hot,” they will reply: “No, it is plainly cold.” When they are shown an object that is black, they will say that it is white, or vice versa. Just like the man who said that snow is black; for although it is perceived and known by all to be white, yet he clearly wished to contradict the fact. And so it is that they are madmen who would try to change the natural order, and even to dazzle eyes and benumb their senses. Calvin has a pattern of picking views against scripture and then, based on his view of material reality and scientific observation declare that the opponents are "foolish" and have malicious hostility with God. He said that the leading cardiac scientist Servetus was a "delirious" dreamer and had Servetus burned for Unitarianism. At a rational level I am OK with Calvin saying that outside our universe there is not water, and can even sympathize with him thinking that the world is flat (he said in commenting on Plato elsewhere), even though he is wrong, because he was judging things based on his senses. I don't sympathize much with how he declares his views are Biblical though. He makes the Biblical view match his sense of reality. He sees the sun come up so he thinks the sun moves. He doesn't see Jesus in the bread so he decides Jesus is not in the bread and that this Lutheran/Orthodox/RC idea is not Biblical. OK, but the Bible is a book about the supernatural and the natural. It doesn't have to work that way, Calvin. And I really dislike how he has a usual habit of denouncing opponents in these matters as "fools" and heretics. He ran Geneva like his theocracy and he was setting up the rules as he saw the "divine sense" guiding him. I should add that his own logic was not necessarily admitted to be common sense, but rather he promoted what he called the "divine sense" as opposed to human reason, ie not a human reason which could be flawed. But what he could consider divine sense vs human reason in practice could be wrong and arbitrary. Lutherans and EOs and RCs would disagree that his inventions were by the divine sense. The keyword in this all is his heightened sense of the "natural order". Calvin's reasoning seems to be that the world was made by God to follow "natural laws" or "the natural order". So his conclusion is that the world strictly follows this set of laws, except for extraordinary incidents that happened in the Bible. And even then for Bible events he is not as supernaturalist about them as he could be. eg. For Calvin, John the Baptist didn't actually physically see the Spirit coming on to Jesus with his eyes. For Calvin, God decided to save the elect, and so he sent the Word into the world incarnate. It may be a violation of the natural order, but it's basically an extremely rare supernatural exception that was made. Miraculous gifts are basically over now due to what is for him a strict version of Cessationism. I am not sure that this reasoning necessarily rules out the Resurrection. It's a step in that direction from Catholicism, considering Calvinism's emphasis on he material in a strict way. What is your conclusion about the part in blue? Would you say that the logic itself goes against the resurrection, or do you find Calvin's proposition about the resurrection basically being a big exception to the natural order to be consistent logic? Sounds pretty inconsistent to me.